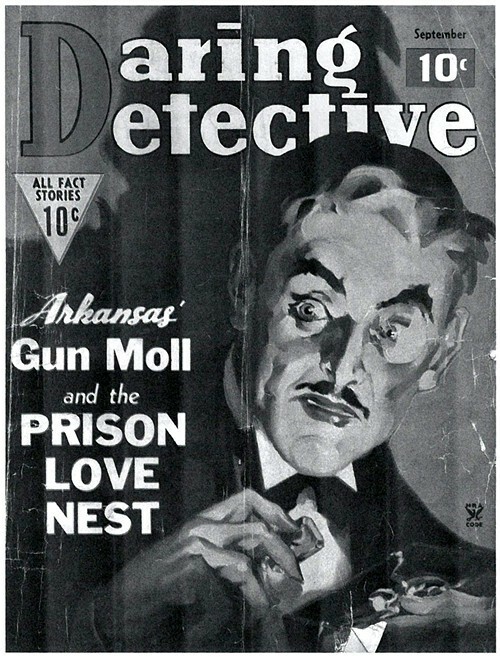 "Arkansas' Gun Moll and the Prison Love Nest" is how Daring Detective described the story on the cover of its September 1935 issue. And no wonder that magazine picked up on the Helen Spence story. This is the young woman who caught the attention of The New York Times too. As its front-page headline on January 20, 1931, declared, "Girl Kills Alleged Slayer of Father in Court; Fires as Arkansas Jury Is About to Get Case." No two ways about it. That's what happened. That's what judge and jury and spectators saw: "river justice" in action. Helen, who grew up on Arkansas' White River, was just 17. But her story hardly stopped with that courtroom gunshot. "What do we mean when we throw around the term 'genius'?" Good question and one posed by Jonathan Judaken, who holds the Spence L. Wilson chair in humanities at Rhodes College. "Once reserved for those who were thought to be touched by the gods or privy to the secrets of the universe or those who changed the course of history or culture, today anyone can be a genius for 15 minutes. How did this come about?" Another good question, and Judaken was posing those questions in connection with an author who will be visiting Rhodes on Wednesday, November 13th, as part of the school's "Communities in Conversation" lecture series. It's been a successful fall so far and all signs point to continued success for the first-ever (but by all accounts annual) Jewish Literary and Cultural Arts Festival at the Memphis Jewish Community Center at 6560 Poplar. As Amy Israel, the center's cultural arts director, recently reported in an update by email, close to 200 attended the luncheon in October with guests Rachelle Bergstein and Jane Weitzman. Later in the month, Moshe and Goldie Monzon drew collectors from the MJCC and larger Memphis community to the sale of their artwork and jewelry. (The couple, according to Israel, will be returning to Memphis "for sure.") And a stormy night didn't deter a good-size crowd to hear reporter Geoff Calkins put the questions to former prosecutor and author Marcia Clark.